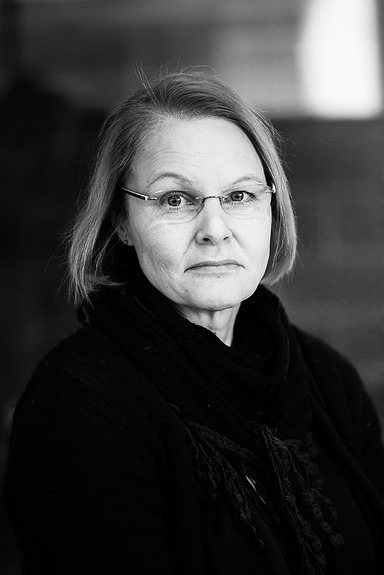 Scenographer, DA, Liisa Ikonen is the head of Expanded Scenography Research Group and the Principal Investigator in the Academy of Finland funded Floating Peripheries – Mediating the Sense of Place artistic research project (2017-2021). Floating Peripheries research consortium (Aalto University and University of Lapland) aims at enlarging the understanding of spatial and conceptual peripheries. It brings the practical and theoretical skills and epistemologies that have traditionally belonged to performing arts, visual arts and media art, to be distributed among a wide spectrum of societal forums. The main objective of the research consortium is to re-calibrate the multidimensionality and hidden potential of peripheries appearing in different contexts– in sub/urban spheres, social spaces of healthcare and wellbeing, digital networks and Arctic nature. As a scenographer, Liisa Ikonen has worked throughout her 25–year career in both experimental and institutional fields of performing arts, and her research is closely tied with her artistic practice. Ikonen‘s expertise in renewing artistic research practices has been recognized e.g. through her systematic development work in project Hypnos (1994 – 2000) in which she developed work methods through several site specific performances in non-institutional found spaces in urban environment. Her dissertation Dialogical Scenography – Phenomenological Interpretation of an Alternative Work Process (2006,) based on artistic research in Hypnos group, won the Best Dissertation Award (2007) in University of Art and Design, Helsinki (UIAH). She has developed multidisciplinary design and application of alternative uses of scenographic means also as part of professor Tuuli Mattelmäki`s Tekes funded research project Spice – Spiritualizing Space (2009 -2011), that was focused on storytelling approaches in service design.